The Swedes are finally bringing the fire to the fight against German incumbents. The plug-in hybrid is a lot like the Palm Pilots of the late 90s and early 2000s. They preceded their more powerful successors, the smartphone, the same way the PHEV precedes the full-fledged electric car and the overall sensation is that humanity cannot wait to get this awkward transitionary phase over with so we can all drive Teslas or the remaining internal combustion-engined cars that’ll be left after the shift. Volvo, keen on accelerating that transition, has told Auto Express that it’ll do that with a new car. It’ll all start with a small hatchback called the V40 that'll be priced and styled to bring the heat to the competition. Expect the V40 to go against competitors both luxurious and pedestrian including the Audi A3 and BMW 1 Series on the former end and the Volkswagen Golf on the latter. 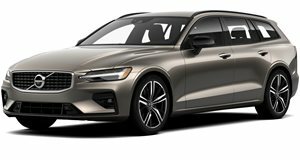 While it will have a plug-in hybrid version out to out-eco those offerings in terms of fuel economy, Volvo is also toiling to have a fully electric version out at the same time. Riding on the same Compact Modular Architecture as the XC40, the V40 will look wider to pedestrians since it’s shorter body will utilize the same width at the front axle. Its wheelbase will also be as long as the XC40’s, giving it an advantage over its competitors in terms of legroom. The longer and wider dimensions should also translate to a sportier feel with the squat body offering more control as long as a buyer opts for one of the more spritely power plants. These include a three-cylinder T3 unit and four-cylinder T4 and T5 engines with D3 and D4 diesels being available in Europe (no mention on whether they’ll make it to the US). That's not all, though, because the CMA platform is designed for electrification. When the electric V40 arrives after the Polestar 2 sedan, it’ll come with more than one battery choice to accommodate multiple budgets and range demands. “For each electric car, we will typically have at least two different battery sizes on offer,” said Volvo’s head of research and development, Henrik Green. “The base variant will be more cost-efficient, but with a slightly limited range, and then there will be a bigger option with a higher price, but more range and more power.” Once the V40 is out, it will reside in the lineup as Volvo’s smallest car. Smaller variants could come if demand is there, but that’s still being discussed. “You can probably do a smaller car with the CMA platform,” Green said, “but we’re not actively looking at that right now. So one day we may have an SUV that’s even smaller than XC40, but at the moment this is the exciting size for us.” Personally, we’re excited to see the Swedes turning up the heat of competition in this segment. Not like it needs it, but choice is rarely a bad thing.